Dental Implants in Juno Beach Provide an Improved Quality of Life! The hormonal changes of menopause can cause all sorts of changes in a woman’s body, and one of those changes is an increased risk of developing osteoporosis. In fact, over 200 million women worldwide have this condition, most of whom are over age 60. Osteoporosis can weaken bones across the body, including in the jaw, which may lead to tooth loss. Hormonal fluctuation may also lead to gum recession, further increasing the chances that a woman’s mouth will suffer from new gaps. Is there a solution to these issues? Yes! 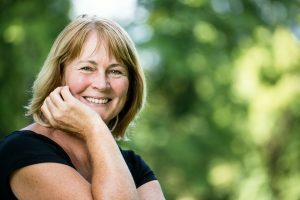 Mature women who want to enjoy beautiful, healthy smiles may be candidates for dental implants in Juno Beach. There is a ton of information out there that enumerates the benefits of dental implants, but what is the bottom line? Do they really provide an improved quality of life for older women who’ve lost one or more of their teeth? Yes! Women with implants reported the highest overall satisfaction with their lives. They also reported the highest satisfaction with the emotional and sexual aspects of their lives. Fixed bridges provided the next highest level of satisfaction, followed by traditional dentures. Women without any restoration work reported the least satisfaction with their lives. Why Are Implants So Great? Looks aren’t the most important thing, but everyone cares about what they see in the mirror. Implants grant a very natural appearance; oftentimes, onlookers don’t even realize that they’re interacting with someone who doesn’t have all their natural pearly whites! Also, because implants are fixed permanently in the mouth, there is never a chance that there will be an embarrassing slip when their owner is speaking or talking. Other forms of tooth replacement don’t offer these benefits. They may be uncomfortable, or they may be fixed in the mouth via unattractive metal attachments that can downgrade the wearer’s confidence. Can Women With Osteoporosis Really Get Implants? In order for implants to thrive, it is important that patients have adequate bone density in their jaw. Since osteoporosis weakens bones, it is only natural to wonder if women with this condition are viable candidates for implants. Take heart! Many women with osteoporosis are good candidates for implants. In fact, implants might even help to prevent the bone death in the jaw that sometimes occurs because of bisphosphonates, a class of drugs that is often used to treat osteoporosis. Of course, the only way to find out for sure if you are a candidate for implants is to consult an expert. Your dentist will be able to examine your mouth and let you know whether implant-retained dentures in Juno Beach are a fit for your situation. Want the best quality of life possible? Dental implants may be exactly what you need! The two talented doctors in our office are proud to help patients of all ages enjoy the benefits that come with a healthy, complete smile. If you’re curious about dental implants, please contact us at 561-622-7243. Comments Off on Dental Implants in Juno Beach Provide an Improved Quality of Life!